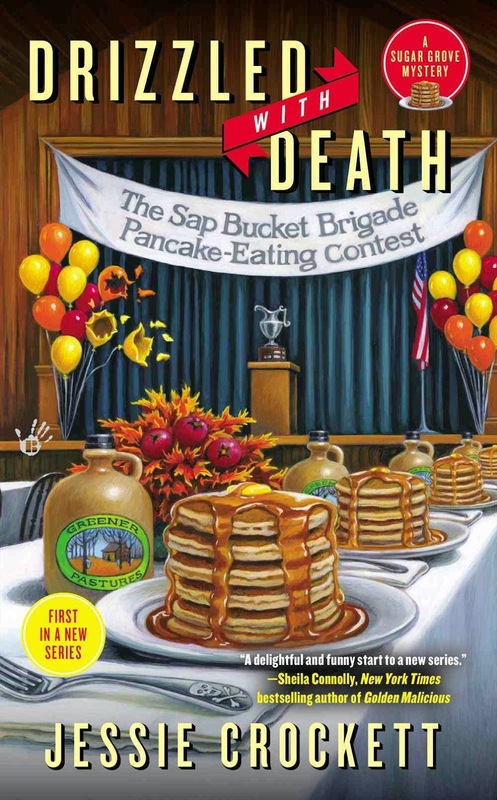 The annual pre-Thanksgiving pancake-eating contest is a big event in Sugar Grove, New Hampshire. It's sponsored by the Sap Bucket Brigade, aka the firefighters' auxiliary, and the Greene family's farm provides the syrup. 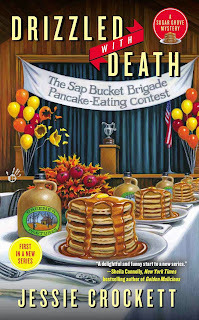 But when obnoxious outsider Alanza Speedwell flops face-first into a stack of flapjacks during the contest, the Greener Pastures' syrup falls under suspicion. Oh my goodness. I don't even know where to start with this one. I absolutely loved it. Dani's character is quirky and not to mention the rest of her family is, let's just say, unique. I had a lot of fun reading this one as it kept me laughing. The author has a way with words and with the characters that make this book an interesting and enjoyable read. From page one I was sucked into this mystery and I couldn't put this one down until the very end. Dani Greene is the baby of her large family and she is the one who seems to care most about the family business. So when her family's company is implicated in a gristly murder, she steps up to do what she can to make sure she protects her family and their livelihood. With her strange neighbors and her even stranger family members, she has a mile long list of suspects. Books with quirky characters always seem to appeal more to me than most. I loved this book and the only thing that is wrong with it, is that I have to wait for the next release. I can't wait to get my hands on this series and be reunited with Dani and all the strange characters of Sugar Grove, New Hampshire. A fantastic debut that was a fun read that was almost impossible to put down. This sounds really good and I've been in the mood for a good cozy mystery lately! Thanks for sharing because I definitely want to check this one out!